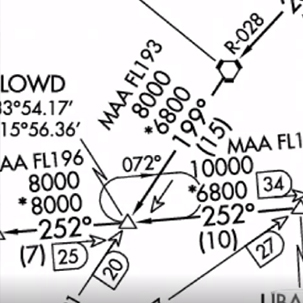 Controllers or instrument procedures may instruct me to fly a holding near the airport, most times as part of missed approach procedures. I first learn to use VOR to fly one (GPS referenced holdings are flown similarly). Did my first ever holding pattern :-) This flight is the same flight as my first SID flight. 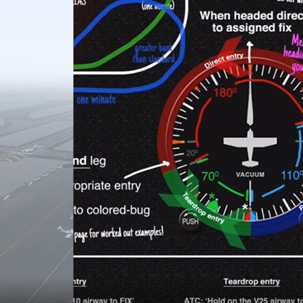 Make sure to download my handy-dandy holding pattern aid at the blog! 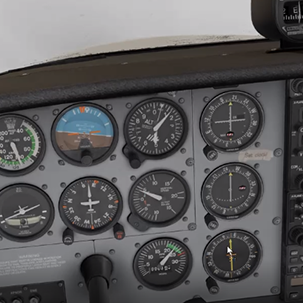 Next is learning to fly a holding that is based on an intersection. Then, the most difficult one, NDB holding procedures. Except for a NDB reception bug, my holding pattern flying and crosswind correction went pretty good. Exciting!